“Age is a number. Old is an attitude. You can talk old, walk old, act old, and dress old. I’m just not ready for that yet,” says Jeni Freeland Berry, a senior living resident who is 93 years young. Berry, who calls Brookdale Freedom Square in Seminole, Fla., home, is the oldest Miss Florida and attends the pageant annually where she is honored on-stage. She received her crown in 1945, thanks in part to her singing and dancing talents. Among her more than 15 pageant titles are also Miss Miami and a runner-up in the national Miss America. After the Miss America pageant, Berry recalls that she turned down movie offers and Broadway shows because she was engaged to be married. When her fiancé met her back in Miami, “that didn’t work out” she said, so her mother took her to New York. Through work as a model represented by the Conover Model Agency, her face appeared on many magazine covers, as well as in ads for items such as toothpaste and shampoo. She also did some runway modeling. 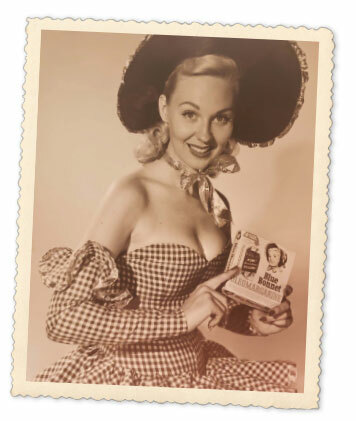 In 1948, Berry was tapped as the face of Blue Bonnet margarine and millions of consumers saw an artist’s rendering of her face on each package of margarine for 38 years. More than just a pretty face, Berry headed to Washington to lobby lawmakers for the company. “At the time, your grandmother could tell you, margarine wasn’t colored yellow because the [dairy companies] didn’t want it to look like butter.” Margarine was sold in a plastic tub with a tube of yellow coloring to mix in. “We changed the law. Margarine could be sold yellow! And you know what, after a while, we wanted it in sticks. They said ‘no way’ but we went back to Washington and my claim to fame is partly because of me, you can now buy yellow margarine – in sticks! That’s history,” she said. 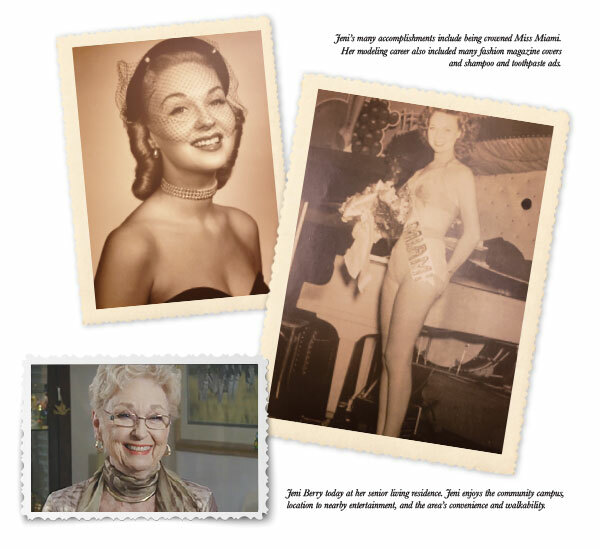 With pageant titles, a successful modeling career, and a stint as an unofficial lobbyist, her proudest accomplishments are, naturally, her two red-headed daughters, three grandchildren, and four great grandchildren.